Item is an aerial photograph of Battery Island and the channel entrance, looking North. Item is an aerial photograph of the 1760 British Post, start-fort. Item is an aerial photograph of the administrative compound. Item is an aerial photograph of the administrative compound and water tower. Item is a photograph of the Fortress, taken from over the bog, showing the main approach of the beseigers. The photograph is oriented towards the Northeast. Item is an aerial photograph of the Grave Battery and Maurepas Bastion, looking Southwest. 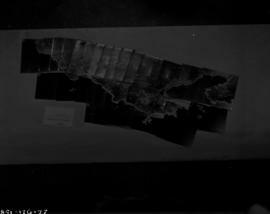 Item is an aerial photograph of Green Island (Isle Verte), looking North. Item is a photograph of the King's Bastion, showing the Dauphin and King's Curtain Walls, with the harbour in the rear. Item is a photograph of the King's Bastion, showing the Queen's Bastion plus Princess Demi-Bastion and Black Rock. Item is a photograph of the King's Bastion, Dauphin Curtain, and the Townside Place d'Armes, looking Southwest and South. Item is an aerial photograph of the Magasin de Vivres with the Indendant's house in the background, looking Northeast. Item is an aerial photograph of that shows the Princess Demi-Bastion, Queen's Bastion, King's Bastion, the outer works and beyond. 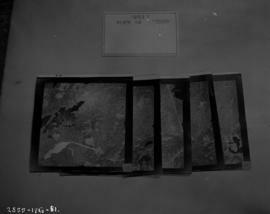 Item is an aerial photograph of the right re-entrant Place d'Armes, showing the right face and flank of the King's Bastion. Item is a photograph of staff accomodations at the Fortress of Louisbourg. Item is a photograph of White Point and French earthworks, looking towards Kennington Cove from a helicopter. Item is a photograph of the whole town site, taken from over Black Rock, with the compound in the background.